Why do we sleep? How much is enough? What happens when we don’t get enough. These questions will be the topic of next Tuesday’s October 18th Evolutionary Medicine class. Sleep is one of the last frontiers in the study of lifestyle-related risk factors for chronic diseases. For instance, it has been well established that smoking reduces lifespan and increases the risk of chronic inflammatory diseases and cancer. Same goes for certain diets. The opposite is true for exercise. Now we can add disrupted sleep to the list of risk factors for chronic disease and shortened lifespan. 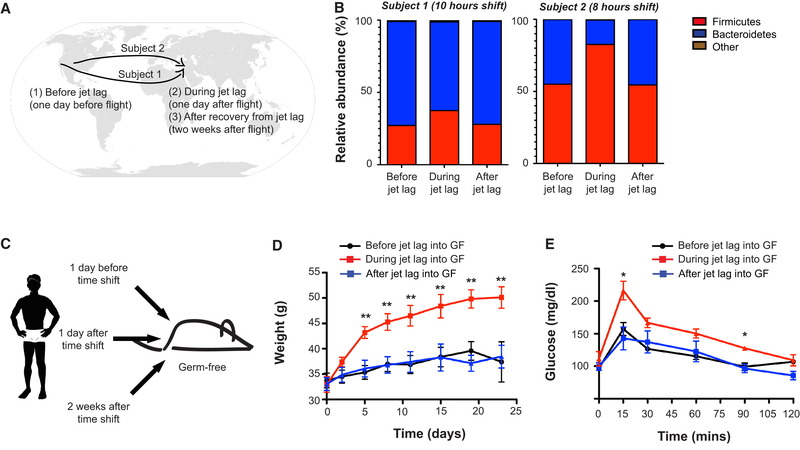 Read Disruption of Circadian Clock Linked to Obesity, Diabetes and Heart Attacks. The question is, why? The sleep and activity tracker Jawbone (I have no financial interest in this company) released some data showing the ideal amount of sleep for a happy mood (above). This result, from a large sample makes it appear that sleep duration has a prominent effect on mood. More about the Jawbone data here. Work done here at the University of New Mexico by Gandhi Yetish PhD tried to answer the question: how much sleep are we evolved to need? He compared sleep in modern industrialized populations in comparison to diverse hunter gatherer populations. Nunn, C. et al. 2016 Shining evolutionary light on human sleep and sleep disorders. The discussion of sleep would be incomplete without the microbiome, of course. A landmark study showed that sleep deprivation, if long enough, is fatal. Death happens because microbes escape from the gut, causing abscesses and sepsis. Sleep seems to be important in preventing microbes gone amok. These findings mean that all our body’s activities, and those of our microbiota, have evolved to be on a timer. Mistimed sleep and eating has real consequences, increasing the risk of obesity, diabetes and many other diseases. Sleep is a thread that is tightly woven in the fabric of metabolism, diet, activity level, inflammation, and obesity. Teasing out the cause and effect relationships between these features is a fascinating challenge for science and for evolutionary medicine. Writing assignment for Tuesday: Why do we sleep? Use the readings to defend your answer.